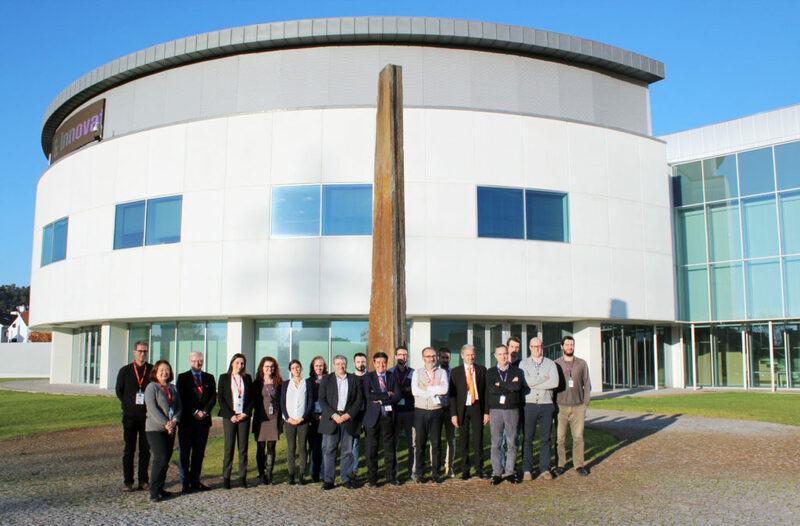 A project presented by a group of partners from Portugal, Italy and Germany, led by INL – International Iberian Nanotechnology Laboratory, has been selected for funding from the competitive European Union Research and Innovation programme, Horizon 2020. The project aims to develop an innovative solution that will allow continuous and real-time monitoring of grape maturation level and vine hydric stress, helping to determine the right moment for the harvest and secure a high-quality wine production. The goal of iGrape is to develop a fully integrated and standalone smart device, small and low-cost, able to measure the level of grape maturity and vine hydric stress by optical detection. This device will be completely autonomous, with its battery, signal pre-processing and a wireless communications module, allowing it to measure and transmit its readings regularly to a remote data collection station for the required period (about three months). The system to be developed may bring several advantages over currently used methods. There are several indicators of the right timing to harvest the grapes and take them to the winery. This new solution targets some of the essential ones, namely the grape vine’s hydric stress and grape maturation (in both sensory and technological dimensions – e.g. anthocyanins and sugar levels in grape berries). This project originated from contacts between INL and the Portuguese winemaking company Sogrape, with estates in Portugal, Spain, Argentina, Chile and New Zealand. Subsequently, it included partners with the required expertise and know-how to secure the required level of delivery: INESC MN (Portugal), University of Freiburg (Germany), Department of Agricultural and Environmental Sciences – Production, Landscape, Agroenergy – University of Milan (Italy), and Automation SRL (Italy). This project, which aims to have a significant contribution to precision farming, will now be developed for 36 months, taking the Internet of Things to the vineyards and aiming for new applications in agriculture and fruit production, a sector responsible for a major footprint in the global economy.